Being able to measure the size of a tuning pin, while the pin is still in the piano, has always been a problem until Schaff developed this gauge. 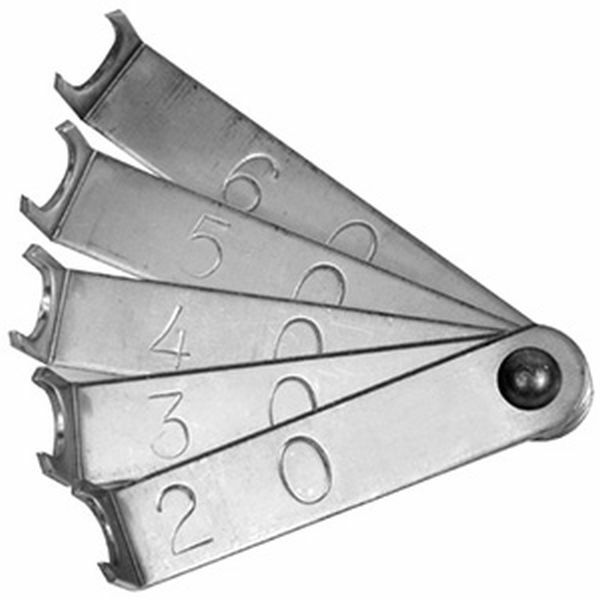 This compact and high precision, stainless steel gauge fans out to measure 2/0 to 6/0 pins. Overall length is 2-1/2" to fit any tool case.